Each SIS typically conducts at least one business meeting at the AALL Annual Meeting, with business meetings of the three 'type of library' SISs (PLLIP-SIS, ALL-SIS, and GLL-SIS) provided time to meet on Sunday morning. SISs may schedule additional meetings during designated meeting times. The SIS meeting matrix will be made available to SIS chairs, along with detailed instructions for scheduling meetings, and scheduling forms are due in December. Every effort shall be made to accommodate special needs. All scheduling will be based on room availability, and AALL will provide no additional funds for these opportunities. November is an important month for the SIS chairs to plan their meetings, meals, receptions, and other social events to be held at the Annual Meeting. Preliminary scheduling forms are distributed to SIS chairs in early November. In coordination with the SIS Council chair, all meetings and events are to be submitted to AALL to display for viewing on the SIS meeting matrix on AALLNET. In December all forms are due to headquarters, once the SIS meeting matrix is complete. During early January, a list of scheduled events can be viewed on AALLNET to check for accuracy and conflicts. In January, the description and registration information for promoting the Annual Meeting is completed. All SIS meals and social events that are ticketed should have registration prices determined at that time. Headquarters will contact each SIS chair in late October with instructions for scheduling meetings and/or food functions at the Annual Meeting. Sections will work under the guidance of the SIS council chair to establish a matrix of SIS meeting requests that allows all SISs to view scheduled meetings and avoid potential conflicts before they are finalized. Electronic scheduling forms are due in early December. SISs will be limited to scheduling up to ten total meetings/events at the Annual Meeting and will not be allowed to schedule against no-conflict times or AALL educational programming. SIS designated meal functions (breakfasts, lunches, dinners, and receptions) will not count toward the ten allowed meetings. The director of meetings will assign rooms based on inventory available at the convention center and/or headquarters hotel. SISs will be provided complimentary meeting room space with tables and chairs in AALL's contracted facilities. All other charges will be the responsibility of the SIS. Sections may choose to provide food and beverage service at any of their meetings; menus and order forms are emailed to the contact person listed on the scheduling form in February and are due back by May 15. The Association will guarantee payment of charges for SISs at the facility and charges will be billed to the Association's master account and deducted from individual SIS accounts after the Meeting. SISs can indicate on the scheduling form if they wish to have their event listed as part of AALL registration and charge a fee. In mid-December, the director of meetings will provide menus to the group to determine this fee. This process is completed in mid-January. Comments: What was successful and what wasn't, recommendations for the next year's planner. SISs may order audio/visual equipment for their meetings using instructions sent to the SIS meeting contact in February. The request form is due by April 15. A price list and guidelines for ordering will be included. The SIS is responsible for all costs associated with the order; costs will be charged against the SIS's account. SIS independently produced educational programs (as selected by the Annual Program Committee) are provided a standard room set with an audio/visual package that will be charged against the SIS's account. See cost breakdown below for independently produced programs in the section titled, Responsibilities of the Sponsoring SIS. In the summer, program proposal information for the subsequent year is made available on AALLNET. Sections are encouraged to work with their members to submit needs-based program and workshop proposals to the Annual Meeting Program Committee by the October deadline. Proposals must be submitted online. SIS Education Committees should review the program proposer's materials on AALLNET for complete information on planning programs and workshops for the following year's Annual Meeting. If a program is selected for presentation, the Annual Meeting Program Committee liaison notifies the proposer. These programs are funded by AALL as part of the Annual Meeting's expenses. All program and workshop coordinators of AMPC-selected programs will be subscribed to a listserv where pertinent planning information, reminders of deadlines, etc. will be posted. Coordinators must operate within the budget agreed upon with the Annual Meeting Program Committee. When the AALL Annual Meeting Program Committee approves a preconference workshop for presentation at an AALL Annual Meeting, the education and programs manager prepares the budget and sets the registration fee in accordance with AALL Financial Policies and the Budget Guidelines for the fiscal year in which the workshop is held. 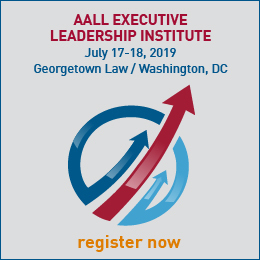 AALL assumes all financial risk for potential losses from institutes and workshops, and retains net revenues generated from institutes and workshops. Each SIS has the opportunity to independently produce/sponsor one program at the Annual Meeting at the SIS's expense. If an SIS decides to do an independently produced program at the Annual Meeting, keep in mind that the proposal must meet the same criteria as those that are individually proposed, and must be submitted online via the proposal collection site by the same October deadline. In considering all of the above, the AMPC will work strategically with SISs, keeping the focus on delivering the content that members need. Designing a thorough and thoughtful program lineup requires careful assembly of many puzzle pieces, so some flexibility may be asked of SISs during this process. Numerous proposer resources can be found here, including more detailed information about the elements of strong proposals. What are the takeaways that attendees will be able to use and apply to perform their jobs better? How would you describe the problem/opportunity/scenario/challenge that reflects the takeaways? Who needs to attend this session? What methods do you plan to employ to engage attendees and keep the energy level up? A member of the AMPC will contact the proposer of the selected proposal(s) by early December. The first deadline for scheduled IP SIS programs comes in mid-December, when any modifications requested by the AMPC must be completed. If you have questions, please contact any member of the AMPC. If non-AALL member speakers on IP SIS programs require honoraria or reimbursement of travel-related expenses, the sponsoring SIS is responsible for these costs and should work directly with the speaker. SISs may request a complimentary one-day registration for non-AALL member speakers so that they may participate; such requests must be made to AALL in advance of the conference so that registration materials can be provided. (All AALL members attending or participating in any conference events must register.) SISs are responsible for securing Speaking Commitment and Copyright Agreements from all presenters on IP SIS programs. All scheduling will be based on room availability, and AALL will provide no additional funds for these opportunities. These programs must be open to all registered attendees. The exhibit area at the AALL Annual Meeting includes an Activities Area for displaying materials illustrative of the work of the Association's SISs, chapters, committees, and caucuses. AALL Headquarters sends a reservation form to each SIS chair in April. If not returned, no display board will be reserved for the SIS. SISs are encouraged to include items such as brochures, section publications, reports of projects, posters, etc. for their exhibits. Materials can usually be mailed to the exhibit hall in advance of the conference, or materials can be brought to the hall before the exhibit hall opens. Mailing instructions are sent to SIS contacts identified on the reservation form. All materials that are not removed at the close of the exhibit hall (5:00 p.m. on Monday) will be discarded. The SISs are responsible for staffing their displays during the conference, specifically during no-conflict exhibit hall break hours. The AALL SIS VIP Program presents an opportunity for each SIS to invite (up to two) special guests from its legal, governmental, or information communities to receive a complimentary full registration to AALL's Annual Meeting. 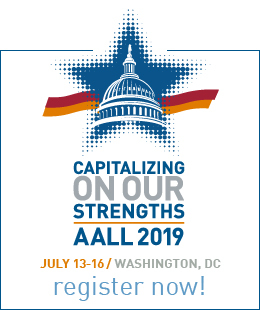 In order to emphasize and publicize AALL's preeminent role in legal information management to the community at large, individuals selected to participate in the Annual Meeting's educational and networking experiences shall not be AALL members. Note that the SIS VIP program is different from existing SIS grant programs that might fund a member's attendance at the Annual Meeting. The VIP program is designed for non-AALL members to be introduced to the Association's work.